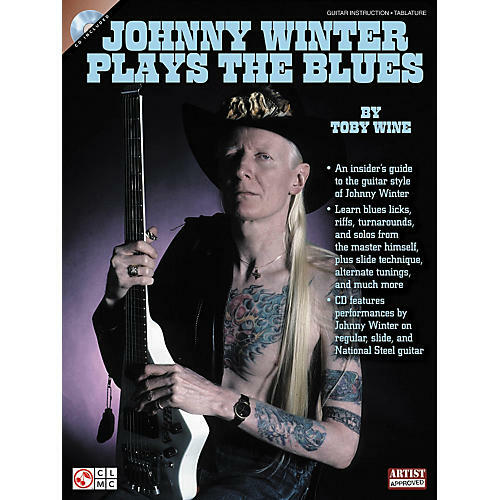 This book/CD package is an insider's guide to the guitar style of Johnny Winter. You'll learn blues licks, riffs, turnarounds, and solos from the master himself, plus slide technique, alternate tunings, and much more. The CD features performances by Johnny Winter on regular, slide, and National Steel guitar, with Paul Nelson on rhythm guitar and Dave Rubin on bass. Detailed performance notes are provided for each example.